Everything is better in rose gold – watches, paperclips, makeup brushes, toothbrushes, mirrors, lamps… you name it, it instantly looks better when it’s rose gold. My current favourite are some copper jingle bells, because they look cute af in my flatlays. Instagram is cruel, Instagram is wicked – don’t upload, and lose 10 followers. Upload, and gain 5 before losing 10 followers. How many hashtags are too many? How do people actually grow their platforms? No matter how infuriating instagram is, it’s still by far my most used app, and I always go back for more. The more marble the better – nothing makes a new lipstick look as banging as when you place it on top of some marble. Marble bathroom? Better instagram your Sunday Riley right now. Marble kitchen? Better snapchat your morning coffee #girlboss. Marble notebook? Flatlay material right there. 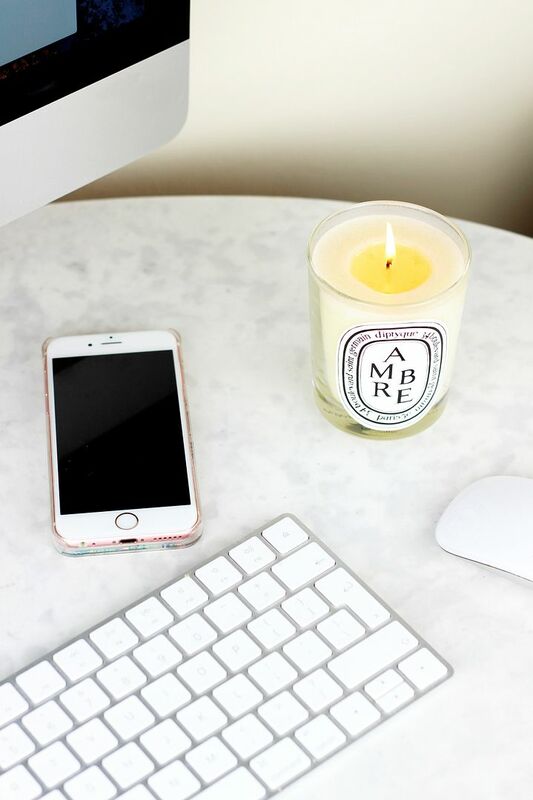 Candles are the best way to burn your money – are you even really a blogger if you don’t reuse a Diptyque candle jar to store makeup brushes in? Buying cute makeup purely for photographic purposes is completely fine – these rose gold eyelash curlers aren’t going anywhere near my face but they look too cute strategically placed in the corner of my photo. Your iPhone might as well be a landline – the amount of time you have to spend charging it means you’re always plugged in. Yes, snapchat drains my battery but the filters are worth it. Everyone needs an Instagram husband – if you’re having a good hair day, how else will instagram know about it if you don’t have someone waiting in the wings to take a candid snap of you not looking at the camera? ‘Bag spill’ flatlay shots take at least 10 minutes to perfect – messy in real life is worlds apart from the sort of aesthetically pleasing mess I want on my blog. That the Olympus Pen is the very best camera money can buy – the only camera that in itself is photogenic. Makeup looks best when stored in acrylic drawers – row after row of Charlotte Tilbury lipsticks proudly displayed in a stack of muji drawers is the vibe I’m after.